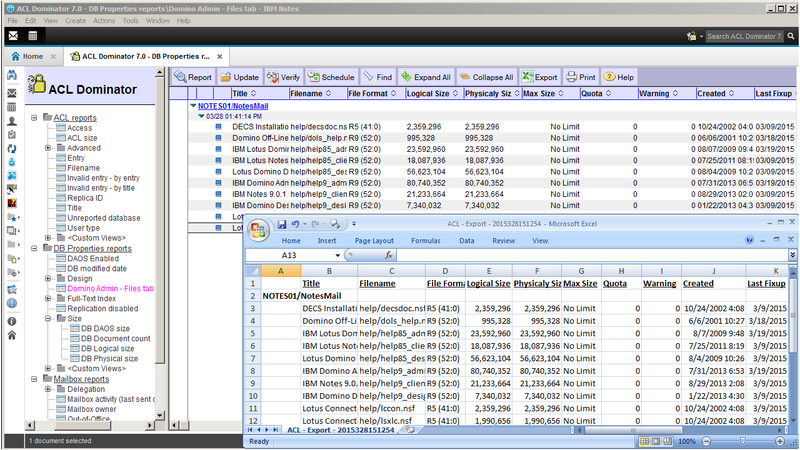 New York, NY – August 15, 2018 – IBM BP NotesMail, provider of IBM Notes tools and Domino consulting services, now offers a new user interface and enhanced administration functionality for IBM Notes and Domino. 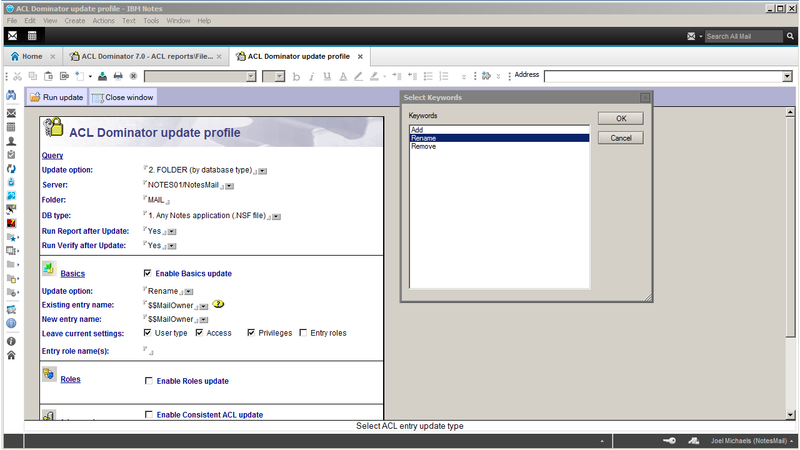 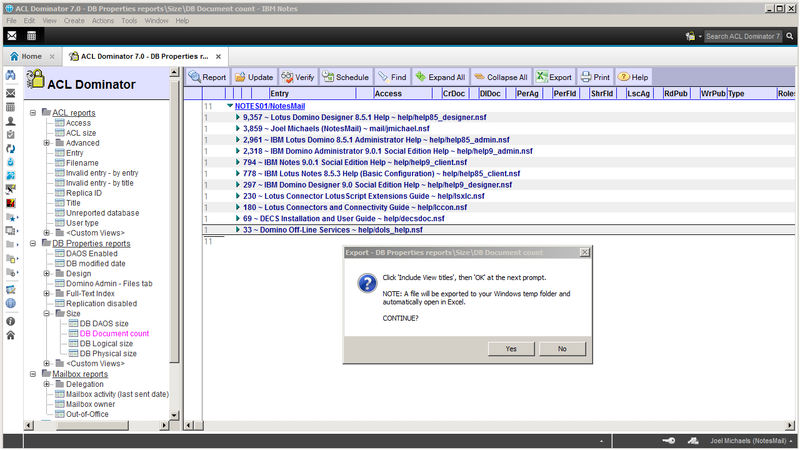 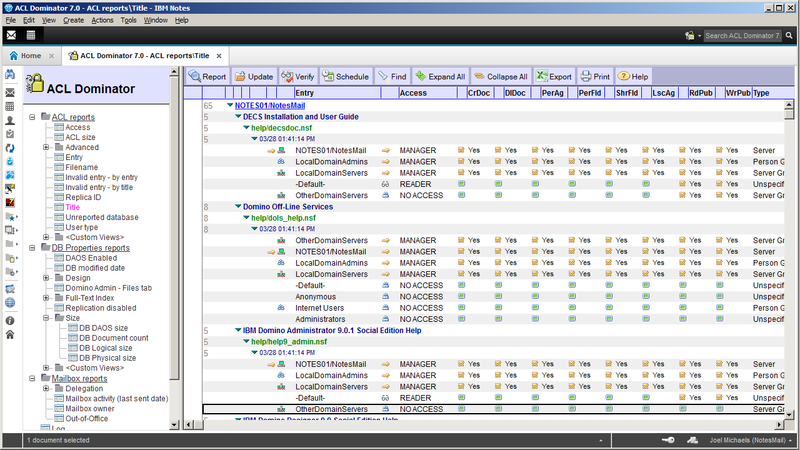 ACL Dominator is an administration reporting security tool which allows Domino Administrators to quickly identify performance and security issues in a Domino environment. 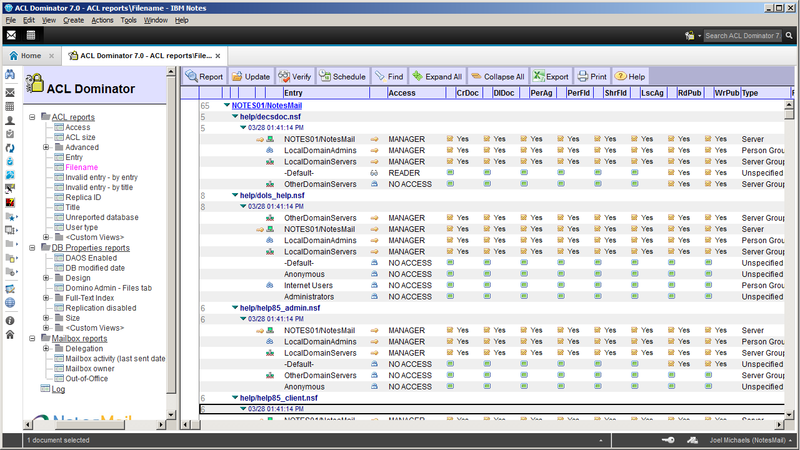 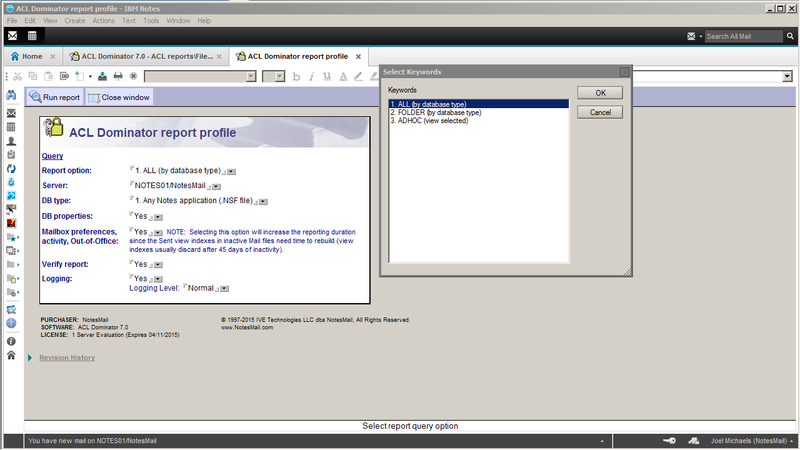 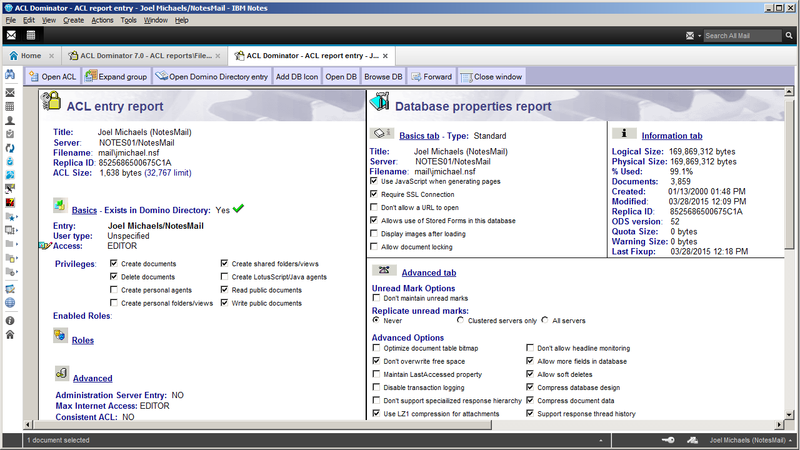 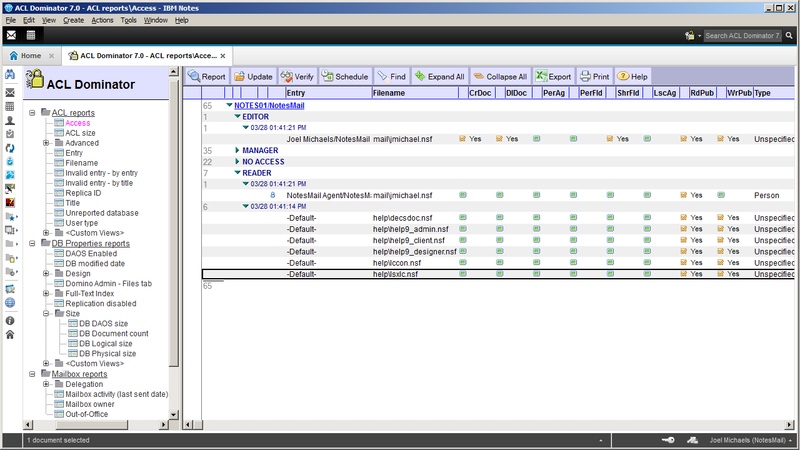 Domino administrators can generate reports for Domino mailboxes, Domino web apps and Notes apps, then export to Excel. 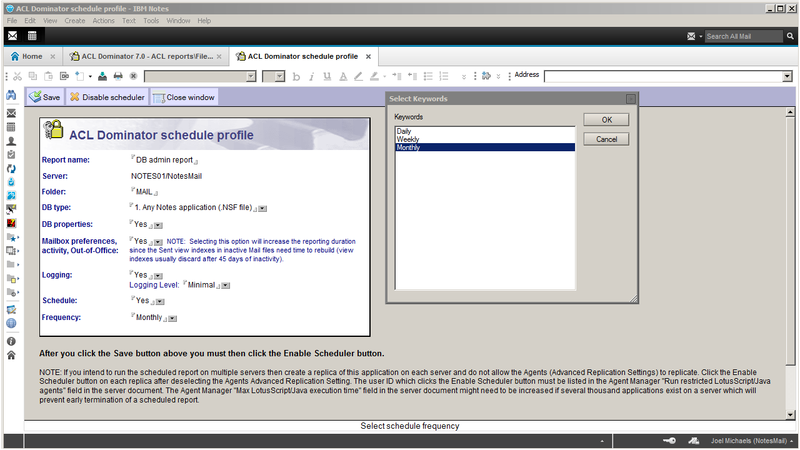 The reports can be run immediately or scheduled daily, weekly or monthly.